MEDICAL ACUPUNCTURE | HERBAL MEDICINE | FOOD THERAPY AND NUTRITION | We specialize in difficult diseases and are 4th generation in natural medicine. The medical field is more than a profession to us, it is a family tradition and a way of life. Our family has been serving patients in California for over 35 years and in the USA since 1980. We are a family clinic and use the same treatment methods administered by the Emperor’s Royal Physician of the Qin Dynasty. We have treated over 45,000 patients and awarded Best of Orange County and also elite Business Hall of Fame. 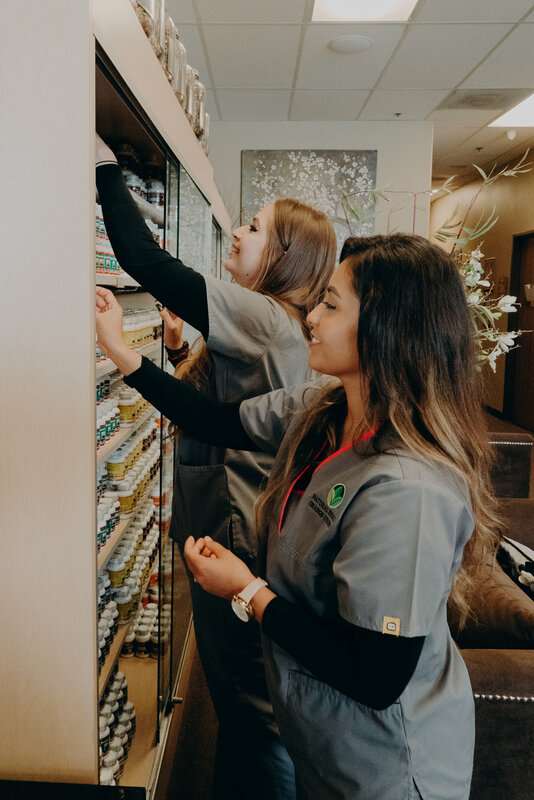 Patients who come to Agape Acupuncture are from all walks of life, from the young to the elderly, and many are medical professionals themselves, including medical doctors, physicians, nurses, chiropractors, acupuncturists, and post graduates. Our clinic is MD recommended and acupuncture is FDA approved. Natural Medicine is a time proven medical system, and is in fact, traditional medicine. With over 4000 years of history, use and research, “more people have been treated by herbs and acupuncture than by all systems of medicine combined.” According to Dr. David Brestler, director of UCLA’s Pain Center. Our desire is to share Natural Medicine with you and to make a difference in your health and healing process. We offer gentle loving care to our patients and will do our best to serve your healthcare needs. Not only is acupuncture very safe, it is truly a masterful and gentle method to treat many difficult diseases, various injuries and natural pain relief because it helps the body promote healing. It is also very valuable for the treatment of chronic illnesses due to it working with the body to restore and maintain health and not acting on the body. Our family has been serving patients in California for over 35 years and in the United States of America since 1980. We are a family clinic. PRODUCTS AND SUPPLEMENTS ARE MADE IN THE U.S.A. Our Nutritional and Herbal Supplements are Made Responsibly in the USA. We give the utmost regard to the well-being of our patients and customers. Patient care and great results are our top priority. Our supplements contain no artificial colors, flavors or preservatives and are non-irradiated. We do not use chemical binders, fillers or mixing agents. Our herbal and nutritional supplements are formulated by medical professionals and the ingredients have been utilized and researched for over 4000 years. GENTLE LOVING CARE: Our natural medicine treatments are personalized and tailored for your individual needs. Please call us at 949.877.8889 to schedule a FREE CONSULTATION today. Our office is open Monday through Saturday. We are a family clinic and appointments are easy to make. SEVERE PAIN & INFLAMMATION: Acupuncture is often best known for the treatment of pain. We treat diverse pain conditions ranging from the chronic to the acute - headaches, migraines, cramps, digestive pain, back pain, neck and shoulder pain, foot pain, body aches and fibromyalgia. KIDNEY FAILURE – KIDNEYS SHUT DOWN, LEG DISCOLORATION & LOW ENERGY Our prayers have been answered. I noticed a difference after 3 weeks of treatments. I was able to urinate more, and I have a lot more energy. STAGE 4 CANCEROUS BRAIN TUMOR FREE FROM CANCER I was able, through acupuncture, to weather the onslaught of the chemo with better than expected recovery between chemo infusions and the acupuncture kicked my immune system into gear. My mouth began to heal and I was, in a matter of months, able to speak clearly and eat without pain...I am now, on March 5, 2012, free from cancer and on a fast recovery track. CIRRHOSIS OF LIVER & ELEVATED LIVER ENZYMES, JAUNDICE, IBS, SHORT BOWEL SYNDROME My last biopsy showed that my liver is normal and that my cirrhosis has healed. LUPUS ERYTHEMATOSUS (SLE), ACHY JOINTS, STOMACH PAIN, NAUSEA, FOGGY MIND, FATIGUE & EXHAUSTED I’m finally back. PARKINSON’S DISEASE Thank you Dr. Huang for helping our whole family get better - My wife has Parkinson’s Disease and she could not walk before. She had to use a cane. And now we threw the cane away. NON-HODGKIN’S LYMPHOMA: Minimal Side Effects From Chemotherapy I had a total of 6 chemotherapy sessions and the side effects were minimal and I had lots of energy. I BECAME PREGNANT! INFERTILITY, ENDOMETRIOSIS Within two months of treatment, I became pregnant. My pregnancy was a breeze. 3 LUNG NODULES My doctor said he thought he had received the wrong CAT Scan, for all 3 of my growths were all gone. What unbelievable news, I am most blessed. Miracles do happen. My illness has been a wonderful journey of faith and healing, especially with Dr. Huang’s caring and inspired methods of acupuncture and his supportive loving staff. FROM DR. HUANG AND DR. YEH | We pledge to you our dedication to top quality medical care. We truly care about our patients and are blessed to serve you. Beyond our degrees and achievements are the proven results. Patients have recovered and regained their health from many difficult diseases. The joy of helping others and being there for our patients' needs is priceless. We give God all the glory for allowing us to serve the patients and entrusting us. We are conveniently located Newport Beach, Orange County, Southern California. Please visit Agape Acupuncture, Inc. at 4750 Von Karman Avenue, Newport Beach, California 92660. We will do our best to help you and we are here for you. Please call 949.877.8889 for an appointment. We are open Monday through Saturday. STAGE 4 CANCER COMPLETE REMISSION: KIDNEY CANCER, PANCREAS CANCER In July of 2011 a new CT scan revealed that the cancer spots had disappeared. This was also true for the next several CT scans. PULMONARY FIBROSIS, COUGH, PHLEGM, FATIGUE, WEIGHT, ANXIOUS, DEPRESSED& NOT SLEEPING WELL From a Hopeless Situation to a Healthier Life! In the last 2 weeks, I have hardly coughed, and I have had very little phlegm. I am more relaxed, and I am able to sleep better. I am less depressed, and I have even lost 10 pounds. I AM PREGNANT!!! I was able to conceive and become pregnant! I appreciate that having a baby is a blessing!!! PROSTATITIS (PROSTATE INFLAMMATION), ENLARGED PROSTATE, HIGH BLOOD PRESSURE, FREQUENT URINATION & ARTHRITIS After a couple of weeks, I started to feel better. I can walk better and my knees feel better. I’m not using the restroom as often and my blood pressure is good at 110/80mmHg now. DR. KEVIN HUANG 5 STAR YELP REVIEWS | DR. JANET YEH 5 STAR YELP REVIEWS | We pledge our dedication to quality medical care through the use of natural treatment methods only. We are both licensed primary healthcare providers by the State of California Acupuncture Board of Medical Quality Assurance. We treat degenerative disorders, acute & chronic ailments with gentle loving care. Serving patients and working in a clinical environment is our passion and calling. 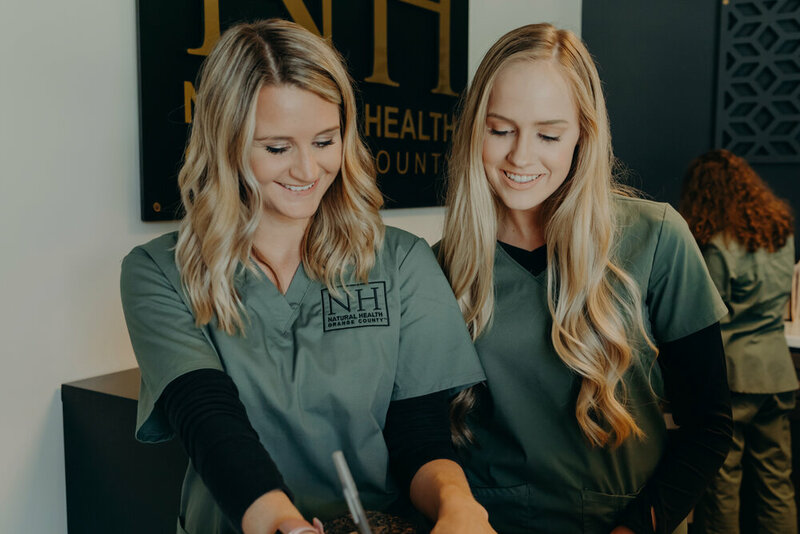 Serving patients in Costa Mesa, Santa Ana, South Coast, Irvine, Newport Beach, Newport Coast, Corona Del Mar, Huntington Beach, Tustin, Aliso Viejo, Mission Viejo, Laguna Woods, Laguna Beach, Laguna Hills, Laguna Niguel, Brea, Yorba Linda, Santa Ana, Anaheim, Talega, Trabuco Canyon, Villa Park, Portola Hills, Balboa, Buena Park, Westminster, Garden Grove, La Habra, Anaheim Hills, Silverado Canyon, Placentia, Fullerton, Orange, Rancho Santa Margarita, Seal Beach, Ladera Ranch, Lake Forest, Fountain Valley, Stanton, Cypress, La Palma, Los Alamitos, Monarch Beach, Cote De Caza, Dove Canyon, Foothill Ranch, Dana Point, San Juan Capistrano, San Clemente, Orange County OC and the surrounding Los Angeles LA County, Inland Empire IE, and San Diego SD County. We are conveniently located off of the 405 in SoCal Southern California with easy access from all directions both locally and via freeway - major cross streets are Jamboree, Campus and MacArthur. Our address is 4750 Von Karman Avenue, Newport Beach, California 92660. Our office is open Monday through Saturday. Please visit Agape Natural Health 4750 Von Karman Avenue, Newport Beach, California 92660. We will do our best to help you and we are here for you. We are a family clinic and appointments are easy to make. Please call 949.877.8889 to schedule an appointment. We are open Monday through Saturday.